Now, my love of biscuits is no secret around here is it, especially not with me having my own biscuit jingle and all – so obvs when an invitation to review biscuits pops into my inbox, it would be crazy of me to say no right! The Queen of Hearts Cookie Company pride themselves on creating beautiful biscuits for any occasion – choose from the designs on the website or have a chat with them for something more personal. I chose something from their Vintage inspired collection and they are probably the most beautiful biscuits in the entire biscuit world – just take a look at these beauties!! They arrived inside two jiffy bags to ensure I didn’t recieve a box of crumbs, and the presentation lovely. The biscuits themselves are just so pretty I almost didnt want to eat them. Almost, this is me, I have never met a biscuit I could resist! And they were very tasty too – a simple, buttery shortbread with a crisp and not too sickly icing – yummy! And finally, no biscuit of the week post would be complete without the jingle of joy would it now?! And these biscuits were certainly worthy of that title – and I am sure they will be prettiest biscuit of the year! In my half-asleep state this morning, I looked at the pictures in this post when it popped into my emails and thought “Wow, Sonya is seriously good at making biscuits!”. Now, I read it properly ans I see that they weren’t decorated by you, and I’m almost relieved that this isn’t the level of skill that us Mums are expected to achieve. Excellent biccies, though. I love Biscuit of the Week! These look so pretty and would be lovely as gift. I always approve of any presents you can eat or drink! These look too good to eat! I look at pretty biccies and would just keep looking at them. I want to learn how to do it! Oh wow, these look amazing. Biscuits taken to the next level! These are so beautiful! I’m sure I wouldn’t be able to eat them because of that, but I bet they were delicious. 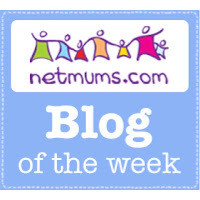 Michelle recently posted…Tips & Advice for Camp Bestival Newbies!